It is always great to receive feedback and when I receive a letter like this one it makes me feel very proud that I have encouraged otherwise reluctant readers to not only pick up a book, but enjoy it and want to read more. Jayne from St Stephen’s Junior School in Kent sent me this letter….. I am sure you receive many letters and emails from children and adults who have read your books. I am just one person that would like to give you some feedback on how your stories have inspired children. I am a mum of twin 17 year old boys and one of my boys was, and still is an avid reader. The other, unfortunately was not – until that is, he read your books when he was 8! They inspired him to read and he caught the bug! You also signed his copy of ‘Golden Goal’ when you visited his school in Herne Bay, Kent. He is now studying Philosophy and History at a grammar school and is reading Figes and such like! A few months ago, I had a clear out of books and young toys that were no longer ‘cool’ to keep. On finding the Jamie Johnson series, I wondered if some of the boys at my school might also be inspired by your books. 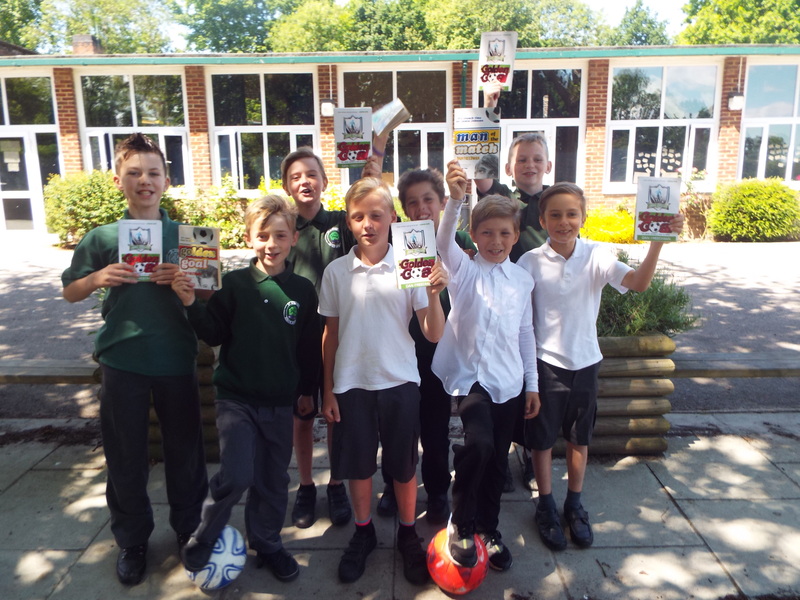 I chose 8 boys who were ‘reluctant’ readers but loved football thinking that it might encourage them to read. I have read the first two books to them. Every day, at 1.15pm, they come and ‘collect’ me from my office to carry on reading about JJ. Woe betide, if I forget! I have bought them all their own copy of Golden Goal which they are all going to read themselves. We will then meet, chat about what happened in the book and continue reading ‘Man of the Match’. They have never visited the Library or read a book until now, apart from a magazine and for this alone, I would like to thank you for writing books that appeal and inspire these boys to read.